Head and neck safety has come along way in motorsport is now compulsory in most CAMS categories. With more products hitting the market, the prices are now more affordable than ever and there is really no excuse not to have the best protection possible. It’s not the speed that kills, it’s the sudden stop that gets you! We stock industry-leading head and neck safety gear suitable for circuit and rally drivers. You shouldn’t get behind the wheel without protection for your head and neck, it’s only has to work once to pay for itself! 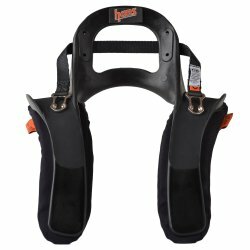 Make sure you’re strapped in with one a quality and comfortable motorsport harnesses which are available online too.